Something pretty nice happened yesterday. It was in the works for a while and I got notice it was posted onto the site. 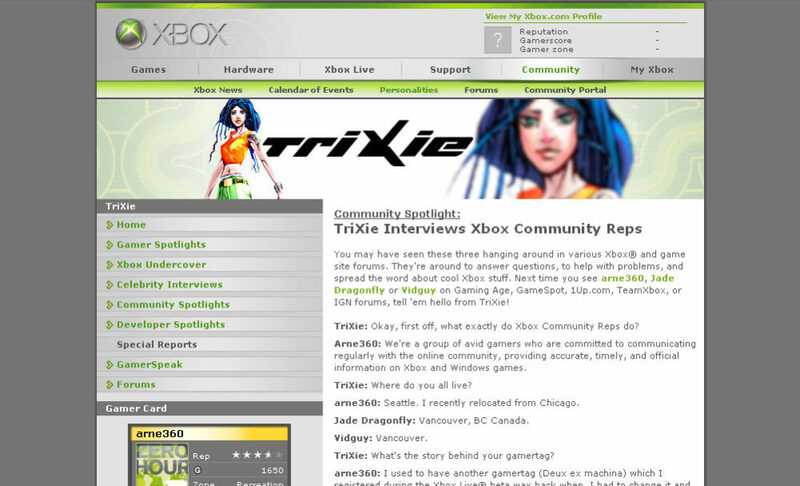 That is to say, my colleagues and I now have our own special Community Spotlight interview up on Xbox.com. It talks about what I do for a good part of my job these days. Which is, in a nutshell, to be a gamer and representative for Xbox, Xbox 360 and Windows games in online communities (boards, etc.). It says that in the first line in the Spotlight, so I just repeated myself. Either way, this is a pretty cool thing to have happen, even if it came as part of my job. I do come across as this overly verbose, utter nerd though. Too late now! 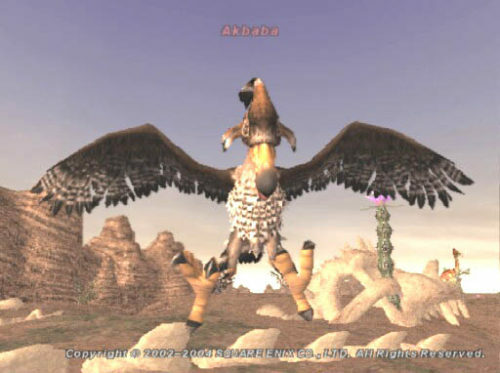 After a long, Xbox 360-inspired hiatus I logged back into my normal FFXI character, Arne, just to see what was going on and what was new on the server and on my linkshell, Chocobolicious. I was shocked to find that in the two months I’ve been gone some prices have skyrocketed. I didn’t check too many things, but once I noticed one thing was off, I started checking things I buy and sell often. It was crazy, things doubled or nearly doubled in price. The positive side is something I make and sell for profit on my server at a very high profit margin just went up 78% in the Jeuno AH. I didn’t know what to do so I hopped on an airship to Windurst to level my Dark Knight past 11. I’m working to get it to at least 25 as a specialized sub for my main class, Red Mage, which is currently at 50. After much muling and buying ingredients for making Pamama au Lait I headed out to Tahrongi Canyon to slowly level up. I was out there for a while and then saw a Summoner and a Red Mage from the same linkshell battling together against an Akbaba. I just watched them finish their battle and then started to run off to find something else (and easier) to level up on. A few seconds later I got a string of Japanese which included the phrase “PT” and a question mark. Using the sometimes inaccurate auto-translate function I let them know I wanted to be in the party, but that I didn’t speak any Japanese. As many FFXI players know, that is usually followed by silence or a misunderstanding that you don’t want to be in their party. This time around Hiroge and Ericia invited me. Even though I wanted to go to bed soon, I was happy to be able to go through kills quicker even with some minor EXP loss. Things went pretty well and we were fighting nearly non-stop. We all tried to work past the language barrier, I even got a flattering comment (“arn, good hunting^^”) in English once. After about an hour, they both levelled up and we called it a night not long thereafter, which was good, I needed to go to bed. When we stopped I was about 800 EXP short until the next level. The next night I logged in and zoomed past those 800 to hit level 12. It might be a while before I go back to work on getting to 13.